It says on the sleeve that this 12" is "dedicated to the ultimate raver who got the funk". Might you fit that description? I most certainly do not, but there's still plenty of fun to be had with this record, which harbours two versions of 'Lady Judy' as inspired by Detroit tune 'Baby Judy' by DBX. 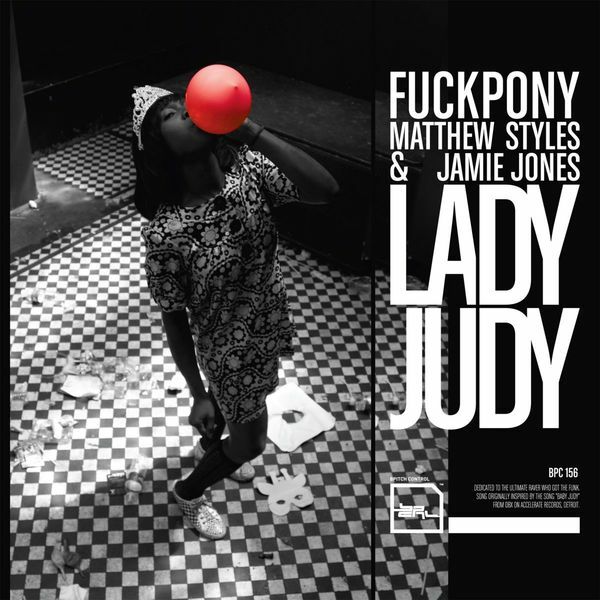 Fuckpony (aka Jay Haze) devises a veritable epic, with the whole production floating on a supremely crisp bed of phasing beats before taking one or two stylistic quantum leaps at the end, finishing up on some distinctly old school drum sounds. On the B-side Matthew Styles & Jamie Jones (of Crosstown Rebels) keep things relatively simple, clicking and spluttering through their version of the track in venerable fashion.